Democrat Shireen Ghorbani fell short in her challenge for control of Utah’s 2nd Congressional District seat against Republican incumbent Chris Stewart. Stewart is projected to win the election with 58 percent of the vote, compared to Ghorbani’s 38 percent. The 2nd District encompasses the southwestern part of the state as well as parts of the Salt Lake Valley. 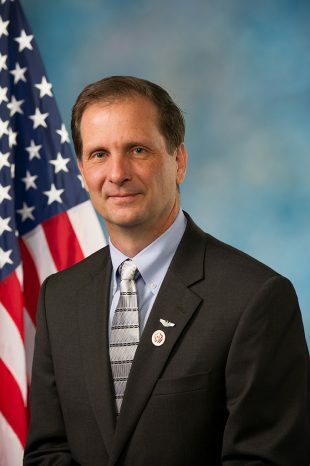 Stewart has represented the district in U.S. House since 2013 and has run on a fairly traditional conservative platform. A UtahPolicy.com poll had Stewart’s lead over Ghorbani at 11 points in September before a new Salt Lake Tribune poll showed a 23-point margin. Read on to review each candidate’s stance on some key issues. An issue on many voters’ minds is public land management and who should be in charge of Utah’s lands. Ghorbani advocated for the preservation of public lands and the National Parks and Monuments that reside within them. Another issue this election season is how representatives planned to work with President Donald Trump and his administration. She made clear that she was willing to work across the aisle over issues Utahans care about. “I am ready to work for you,” Ghorbani said. Stewart’s website did not mention anything about the issue, and Stewart himself recently made few public statements about the administration. In a 2016 address to the Hinckley Institute of Politics, Stewart said, “Donald Trump does not represent Republican ideals; he is our Mussolini.” He later declared he would vote for Trump over Hillary Clinton. With regards to Proposition 2, which would legalize medical cannabis in Utah, Ghorbani said she supported the initiative. “Personally, I will be voting for Proposition 2 as I would like to see an alternative to opioids that are killing far too many of our fellow Utahans and to help patients in pain,” she said. Stewart said little on the measure, but earlier this year signed onto a statement from the group Drug Safe Utah opposing the initiative. He has made no further statement on the matter.